It is a machine that put Land Rover on the map, the ride that saved Porsche from disaster, and the cornerstone to Jaguars’ most recent revival — Welcome the new age of the SUV! Some haul tons of material, others battle for supermarket parking lot supremacy, a few fly down racetracks at remarkable speeds, and a handful harken back to the genres truck like roots. All told there is no genre in the automotive world that is more versatile or contested. Yet no matter whether they’re climbing the highest peak or wading through traffic on the way to school, every single SUV shares an ability to move a family of four in comfort while also being Swiss-Army knife for daily life. The Sport Utility Vehicle phenomenon is so strong that it’s not only altering our culture but also the automotive world itself. Today, if you sell cars on the world stage you simply can’t survive without an awesome SUV in your line up. To win the hearts and minds of consumers these monster people haulers are transforming into technological wonders replete with the latest innovations, ultra extreme engineering, and mind blowing high-performance that would have been unimaginable in this type of machine just twenty years ago. 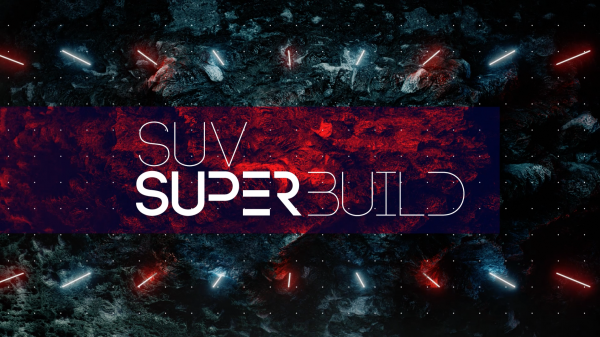 “SUV Superbuild” is a ten part series that dives deep into the rich history behind these machines, the unique design challenges they face, and the extreme engineering solutions they require, while showcasing the unique national pride and heartfelt passion that brings them to life.